You have made me add two more items to my wishlist: Moscow and the purple gloss! You look gorgeous as usual. I envisioned this to be more of a Fall shade, but somehow you made it totally work for Summer! Its soft and warm and looks very wearable - good choice Xiao! Hmm I love how you layer the gloss over this! I don't think my lips would appreciate matte lipsticks too much, but maybe I should try it when I have the chance! 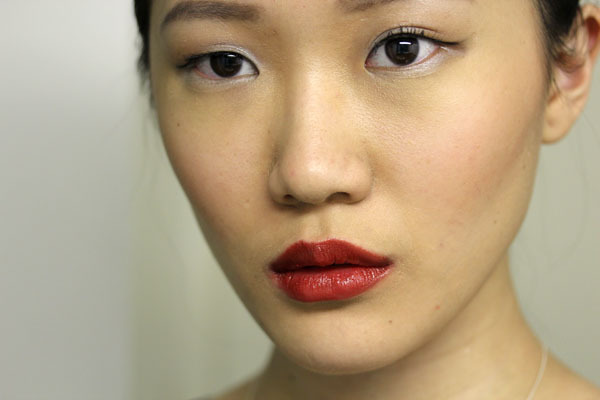 stunning look and application, you have such a delicate hand with cheeks and eyes; I love it. All three, and several others!, are en route to me for tomorrow delivery and I am ecstatic. 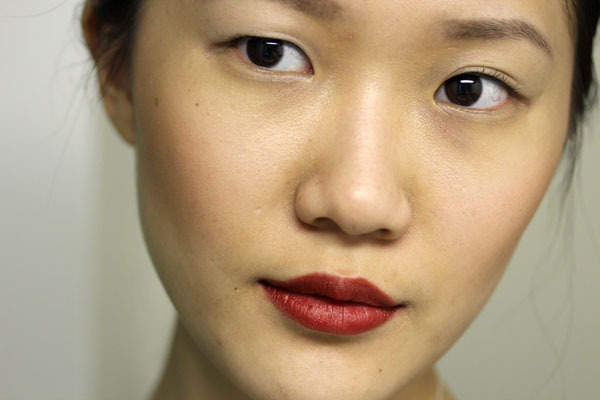 the moscow lippie is stunning on you. Now I have to run out and get that along with the guerlain porte ercole. I wonder if LMDB purple haze creme or MAC's All of my purple life gloss would give me the same finish that you have? It would save me from having to purchase another gloss. Thank you so much for featuring these colors as they would not be something I would ordinarily gravitate towards in store. 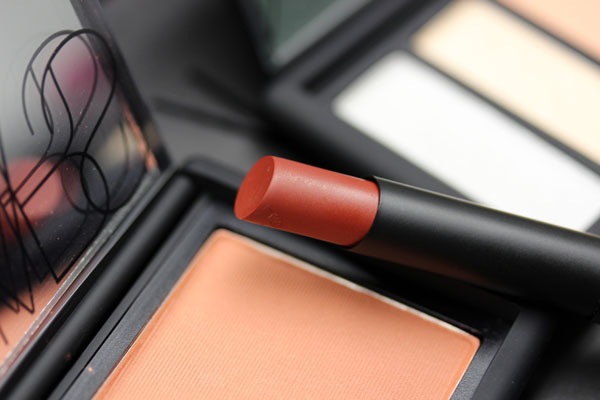 Do you also have Joyous Red from Nars? Can you compare the colours? Thank you!